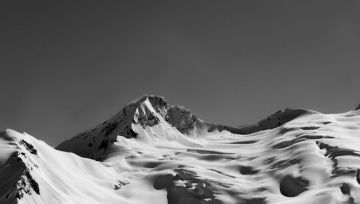 The Purcell Mountains snowpack has been the culprit of some very large and destructive avalanches recently. 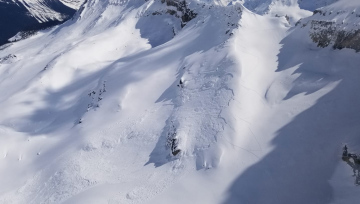 There have been various triggers for these avalanches including natural triggers due to the weather, explosives, and human triggering by people on skis and snowmobiles. 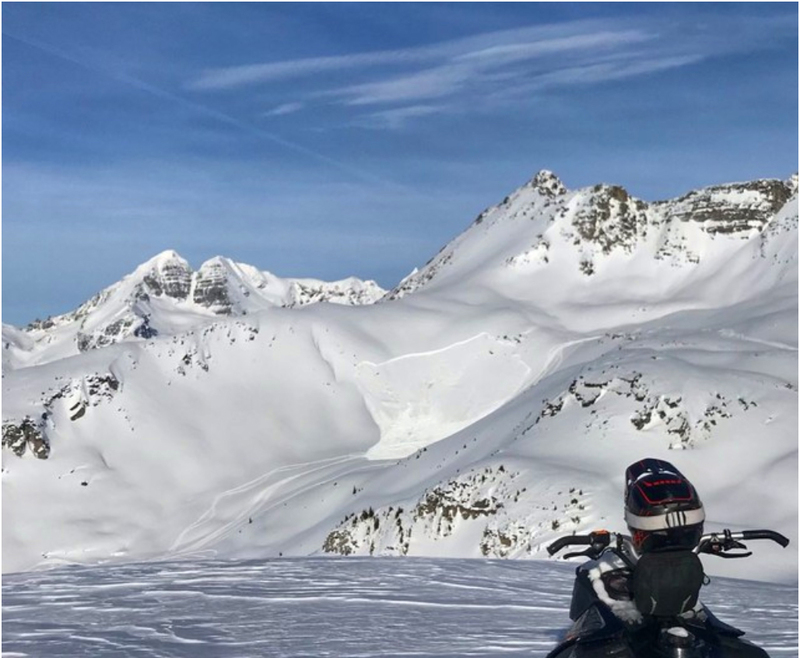 Unfortunately, one of these avalanches resulted in the fatality of two snowmobilers. In general, the snowpack in much of the Purcells avalanche forecast region consists of soft snow near the surface, a relatively hard and dense middle of the snowpack, and a very weak layer composed of sugary faceted grains, chains of depth hoar, and a smooth crust near the bottom of the snowpack. The weakness associated with this basal layer is due to there being a lot of air space between faceted grains and depth hoar. This means that they are not well-bonded together, but instead, are loosely resting atop each other. If these grains are impacted by the stresses of a skier or snowmobiler on a slope, they can fail in a domino-effect and produce avalanches that can propagate for hundreds of metres across a slope and slide well into the runout zones below treeline, especially when they lie on a firm, smooth crust. 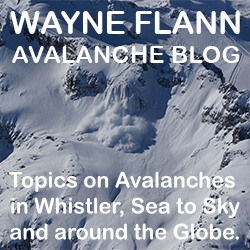 The weak base of the snowpack has produced many avalanches this winter. We saw a bunch in December and there has been a spike in activity in the past week notably on southerly aspects, likely due to snowpack weakening from warming with recent mild temperatures and sun. However, there have been very large and destructive avalanches on north, east, and west aspects as well in the past week. 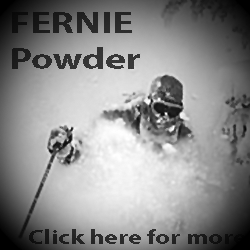 Looking for terrain trends, these avalanches have generally occurred in the alpine. 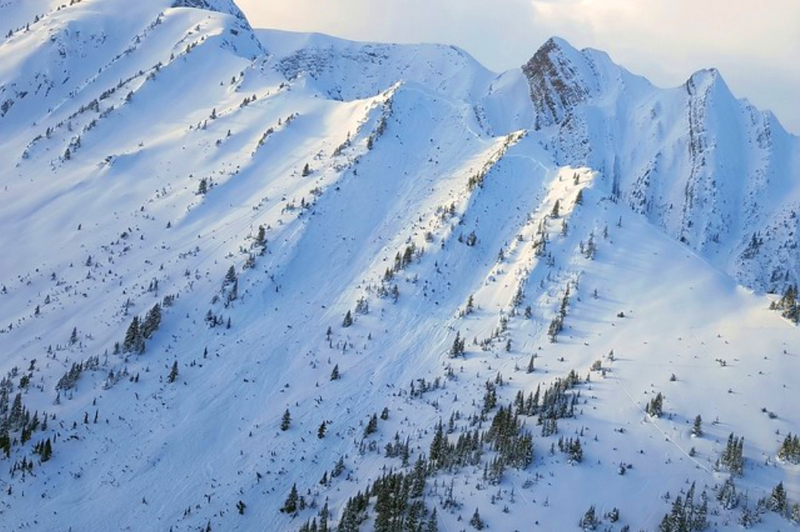 However, the weak snowpack is found at treeline and even below treeline too, so it is possible that such avalanches could be triggered at all elevations. As far as aspects, well, unfortunately this problem is found on all aspects too. This just goes to show that we cannot trust the snowpack anywhere in the Purcells at the moment, unless we’re sure the weak basal layer does not exist or have tested it to see if it is well-bonded. 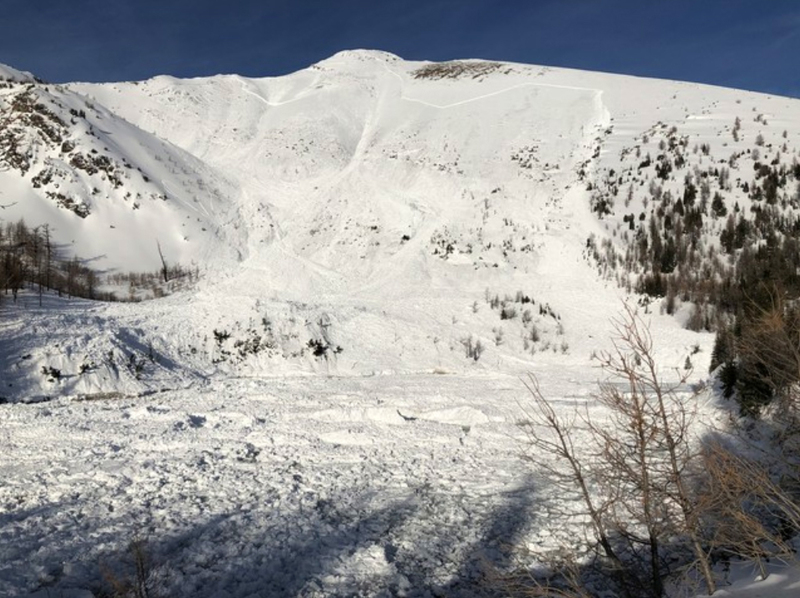 An avalanche that was remotely-triggered by a snowmobile in the Purcell Mountains (Photo credit: Association of Canadian Mountain Guides Mountain Conditions Report/TJ Neault). 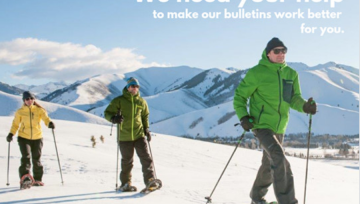 So is the answer to stay at home and be afraid of the mountains? Of course not! The mountains can still be enjoyed even under conditions like we have this year. 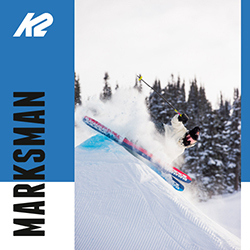 Stick to mellow terrain, avoiding steep and convoluted terrain. Limit your overhead exposure. Stay away from thin and variable snowpack areas, such as near rocky terrain and cliffs. Look for signs of instability, such as cracking in the snow, whumpfs, or recent avalanche activity and back-off if you notice any signs. Increased caution is recommended when weather conditions might be increasing the sensitivity to triggering, such as additional load (new snow, wind loading, or rain), when temperatures are rising quickly especially near the freezing mark, and when solar radiation is strong. 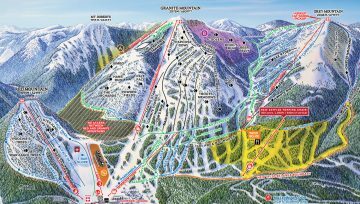 Read our daily avalanche forecast to get an idea on what’s important to think about for the day. Overall, it is important this winter to adopt a conservative approach to choosing terrain, and be disciplined about it. It may be difficult to do so with good snow quality in the mountains, but this is the time to do so when weak layers are lurking in our snowpack.